The currency market or foreign exchange market is the decentralized market for the trading of all the currencies of the world. Forex market is the largest market; in terms of other financial markets and trading volume. It consists of trading more than $5 trillion just in a single day. Investors across the world sign up through various brokers and start trading in this market. As a trader, understanding your entire portfolio’s sensitivity and volatility is utmost important. In the foreign exchange market, the currencies are priced in a pair, they are dependent on each other, no single currency pair trades completely independent of others. As an effective trader, you should understand these correlations of currency pairs and all the currency pairs are dependent on each other. Generally, traders seek for correlated pairs, to improve and update their trading strategies for different currency pairs. If a trader gets to know about some correlated currency pairs, it becomes easy for him to make his trading strategy accordingly. 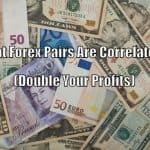 So, What Forex pairs are correlated? The forex pairs which are correlated are EUR/USD, NZD/USD, GBP/USD, and AUD/USD. These are the four mostly correlated currency pairs in the forex market. In the forex market, currencies are always quoted in a pair, which means one currency value against the other. For example, the price of Swiss Franc against the price of British Pound, the price of Canadian Dollar against the price of US Dollar, the price of British Pound against the price of US Dollar, the price of Indian Rupee against the price of US Dollar and so on. This is how currency pairs are quoted and they are traded in a pair. 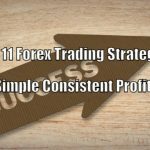 Hence, we can conclude that currencies of different countries are quoted in a pair and forex trader trades in a selected currency pair. 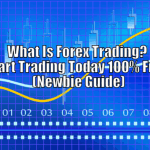 If you are a new trader, you should also know that no single currency pair every trades independently at all. 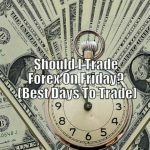 All the currency pairs are interlinked; the effect on one currency pair could affect the other currency pair, either in a positive way or in a negative way, depends on the type of currency pair and time frame. 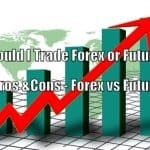 Correlations of currency pairs mean the connection between two currency pairs, it can be either a positive connection or negative connection between both of them. In the forex market, types of currency correlation mainly are of two types: Positive Correlations and Negative Correlations. A positive correlation is a relationship between two currency pairs in which both pairs move in tandem. We can see the positive correlation between the demand for the product and its price, the price increases when the demand for the product increases. 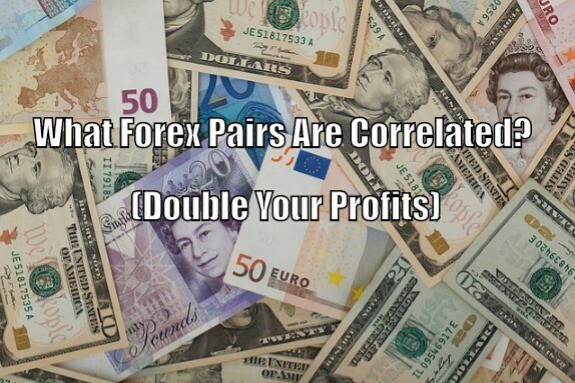 Similarly, in the forex market, currency pairs of positive correlation, both pairs go in tandem. The three most traded currency pairs in the forex market are- GBP/USD, EUR/USD and AUD/USD. These three pairs are also positively correlated with each other. NZD/USD is also one of the positively correlated currency pairs. We can see from these three pairs, the counter currency is the US Dollar. Hence, any change in the strength of the US Dollar would directly affect the three given pairs. The negative correlation is just opposite to positive correlation. A negative correlation is a relationship between two currency pairs in which when one pair’s price increases, there will be a decrease in other pair’s price and when one pair’s price decreases, there will be an increase in other pair’s price. The three major negative correlated currency pairs are- USD/JPY, USD/CAD, and USD/CHF. The base currency from the three currency pairs is the US Dollar; this is the reason why these currency pairs move in the opposite direction of the above-mentioned pairs where USD is the counter currency. So, positively correlated pairs are those which both the currency pairs move in a tandem while, negatively correlated pairs show effect opposite to positively correlated pair. So, from the above-correlated currency pairs, both positively correlated pairs, and negatively correlated pairs, here is the analysis of which currency pair move together and which does not. Market conditions and various economic factors are fluid and they change on daily basis, which may result in a swing in correlations of different currency pairs. A positive and strong correlation of any currency pair may turn out to be a totally negative correlation. The changes in the correlation type of a particular forex currency are based on the time factor. 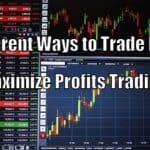 Analysis of two different currency pairs using past statistical data has predictive value, it can help you in identifying potential forex trading opportunities. After predictive analysis, it can give you an idea of which currency pairs are positively correlated, which currency pairs are negatively correlated and which currency pairs show a random relationship. Correlation of currency pairs in decimal form measured on the scale of -1 to +1. A currency correlation of +1 it shows that both currency pairs will move in the same direction. This correlation is known as a perfect positive correlation. A currency correlation of -1 it shows that both currency pairs will move in totally opposite directions. This correlation is known as a perfect negative correlation. A currency correlation of 0 it shows that both the currency pairs have no link at all. The currency correlation with zero cannot be analyzed, they have random results, sometimes it would be a positive correlation of both the currency pairs and sometimes it would be a negative correlation of both the currency pairs. So, from the decimal analysis, a trader can get a basic idea about the correlation of currency pairs. The stronger a positive or a negative currency correlation, the greater the chances of getting an ideal result from the decimal analysis. Correlations with over 1-2 minutes have a little value, while correlations over monthly and yearly data provide the most reliable stats. Currency correlations in forex trading show you the amount of risk you have exposed. 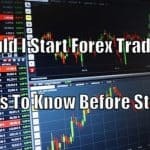 It helps you in exposing the risk of trading with a particular currency pair, through it you can remove your risk and stop investing in the pair which you have analyzed risky. Hence, currency correlations are very helpful in risk management. In the foreign exchange market, the currency is priced in the pair; no single currency can be traded. Each currency is trading against other currency and this is known as currency pair. There could be either a positive correlation between the two currencies or negative correlation between the two currencies. But, market conditions and various economic factors are fluid and they can change the regular leading swings in the correlation between two pairs. Due to changing market situations, a strong and positive currency correlation may turn out to be a negative currency correlation and a negative correlation may turn out to be a positive currency correlation. These changes in correlation are based on market sentiment as well as changing time.